Use of antibiotics on some farms may be breeding potential killer bugs that pass to humans in the food chain. 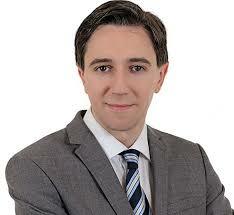 Health Minister Simon Harris apparently believes vaccination is the answer to the hospital trolley crisis. He has urged everyone who hasn’t availed of the flu shot to do so now. The Minister hasn’t mentioned that the jab can cause a worrying condition known as Guillain-Barre syndrome in some. But what of the major emergency where bug resistance to antibiotics is killing people on a colossal scale. According to a medical expert, the incidence of multidrug-resistant infections “may have been a contributing factor in 29 deaths” at just one Irish hospital alone. Countrywide, the figure could be in the thousands. He said overcrowding in emergency departments resulted in “significant compromises in maintaining adequate levels of environmental cleanliness, which in turn increased the risk of health-care associated infections, including multidrug resistant infections. Cross-channel, an expert committee set up by the British government found that superbugs resistant to antibiotics are implicated in the deaths of 700,000 people across the world every year. The report warns that the growth in such infectious disease could kill 10 million people a year worldwide by 2050. The number of deaths in the EU attributable to multidrug-resistant infections has already climbed to more than 25,000 per annum. Driven by growing concern over the mortality rate in Ireland, the government moved to establish a body of top scientists to advise on the superbug crisis in Irish hospitals. Strangely, estimates for the number of infections and deaths associated with antimicrobial-resistant bacteria were said not to have been available when a 2013 report compiled by scientists was finalised by Food Safety Authority of Ireland. Using “a crude extrapolation on population size for the country,” the authority, however, concluded it may suggest the order of 30,000 infections per year and upwards of 500 deaths. The life-threatening or health-endangering consequences which the seeming mass medication of pigs, poultry, and livestock reared for human use has for consumers are profoundly worrying. What is the scale of drug-resistant bacteria or diseases being transmitted in meat product or its impact on the health of people, especially the elderly or the sick with an impaired immune system? As well, the report focusses on landspreading of animal manures, by-products and municipal organic materials “deposited in the environment, including water sources.” It states, “This is likely to be a factor contributing to the presence of antimicrobial-resistant bacteria in foods of non-animal origin. In debating the drug-resistant infections issue in the Dail before the Christmas, Dr Harty said that between 2009 and 2014, there was more than 50 cases of CPE-produced enterobacterial in Limerick. Carbapenem-resistant Enterobacteriaceae (CRE) or carbapenemase-producing Enterobacteriaceae (CPE) are Gram-negative bacteria that are resistant to antibiotics considered drugs of last resort for such infections. CRE is described as “the new superbug” and the “nightmare bacteria.” It is claimed that the bacteria can kill up to half of the patients who get bloodstream infections. Commenting on details of an internal report of July 2016, he said that there were 33 cases in 2014; in 2015 the figure rose to 53, and in the first half of 2016, 19 new cases were identified. 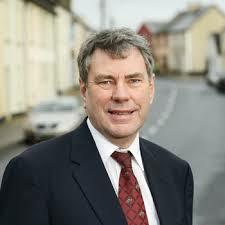 Dr. Harty’s revelations should have set alarm bells ringing across the entire health service. Are our hospitals safe, particularly given the conditions of overcrowding and trolley queues, all apparently conducive to the spread of life or health-threatening infectious diseases or “superbugs”? 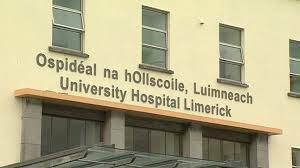 Dr. Harty, who has called for an investigation, said infection prevention measures in Limerick “are failing to adequately control the spread of multidrug infection. “Overcrowding in the hospital and presumably in other hospitals is putting patients’ health and lives ar risk for many reasons, in particular exposing patients to multidrug-resistant resistant infections.